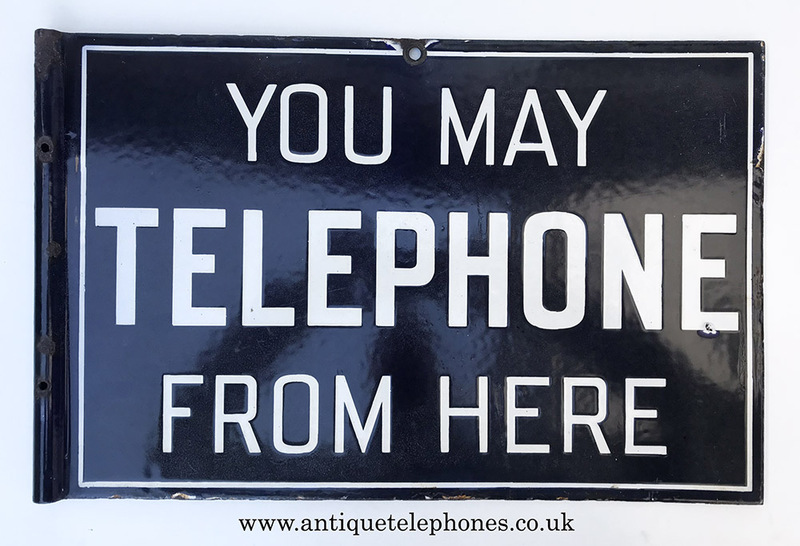 Very rare to find and sought after by telephone and sign collectors. A very hard sign to find and although I am always looking I rarely find them. This is a genuine sign. The dimensions are 19" x 12" inches and would have been mounted to wall using a bracket with a steel pole to allow it to pivot. This has no bracket I am afraid. It has some chipping and around the outside edges as with just one chip on both sides on the letter E in telephone. The blue colour has faded a little and on one side a little patchy. This dose not show up well in the pictures and so have added it to the description. I would rate it as very good for something that has hung outside in the elements for many many years. 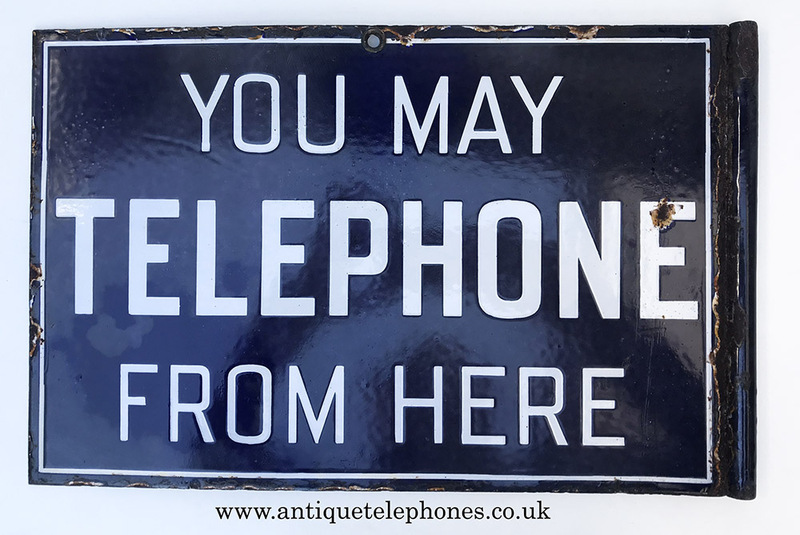 I have a collection of signs from when I first started but I rarely see them any more.